If you asked me what I would need if I were stranded on a desert island, I would probably say my Kindle with 1000s of books already downloaded (as I'm sure wifi would be a problem). I cannot imagine not being able to read, as it's something I seem to do every single day. I recently was at a women's entrepreneur conference one weekend in Nashville, where Dave Ramsey was a guest speaker. Charles Tremendous Jones...words of wisdom! Josh and I made the conscious decision last year to cut the cable. We felt like there were too many things we didn't want our kids to see, and since we had moved to the country, we wanted to enjoy our life on the farm and not be glued to the TV. With that said, I'm able to pursue my hobby of reading books. I read the Bible, devotionals, non-fiction, fiction, health and wellness books, cookbooks...I really don't discriminate. I thought I would share 5 of my favorite "inspirational" books that I read last year (in no particular order). Kisses for Katie-this book was so eye-opening for me. I have lived in a foreign country and seen first-hand the poverty that exists outside of our comfortable lives in America. However, when Josh and I lived in Mexico, we were able to be at arm's length with the poverty. We weren't there as missionaries; I was working in a high-rise building in an affluent part of Monterrey. 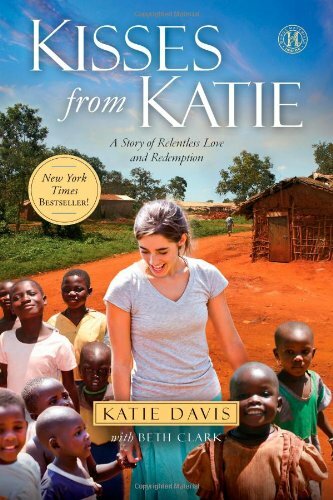 Unlike Katie, I didn't have to truly experience seeing people live on dirt floors and drink unclean water daily. Katie, the author, is originally from Brentwood, TN. (Ironically the town where Josh and I lived right before moving back to West TN). She left behind everything at the age of 19 to pursue mission work in Africa. She tells of how God used her to become the mother to 13 girls and establish a school for the children in the community in Uganda where she lives. Katie's desire to be the hands and feet of Christ at such a young age is truly inspiring. 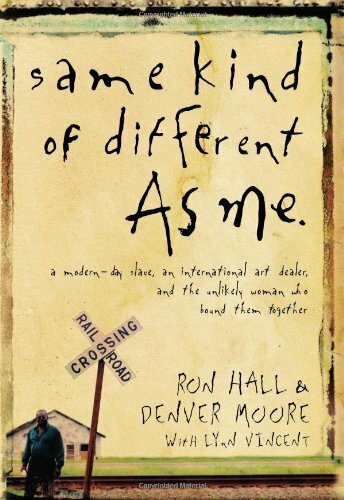 Apparently "Same Kind of Different as Me" has been around for several years, and I'm not sure how I missed it. I can thank my friend Kelly who mentioned it to me while we were at the gym, and she said she it would be released as a movie in the next year. I can tell you when I read this book, I literally cried. Okay maybe more than cried. I think I sobbed during certain parts. This is the story of a homeless man, who had lived in Mississippi in extreme poverty as a cotton "slave." He couldn't be considered a true "slave," but by all accounts, he definitely was. His path intersects when he's a homeless man in Dallas with a woman named Deborah, a volunteer at the local soup kitchen. The story then goes on to share how he becomes friends with the most unlikely person, Deborah's husband, a wealthy art dealer who reluctantly gave in to his wife's demands that he volunteer with her. If you ever question if you can make a difference in one person's life, this story proves you wrong! God uses the least likely people to carry out His work here on Earth. In the small group that Josh and I lead, one of the college students in our group, recommended this book as life changing for him. I have to tell you that this book is one that not only challenged me, but in turn inspired me to do better in my daily walk with Christ. This book is written mainly for people in the ministry, but can be applicable to any of us as well. 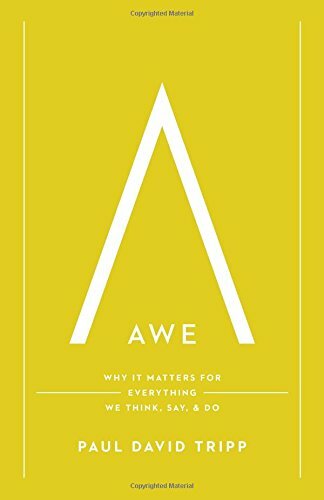 Paul David Tripp shares with the readers why it is so important to be in awe of God, as that attitude shapes every single thing in our daily lives. Truly being in awe of God means we let go of so many earthly things that tie and weigh us down. If we elevate God in our hearts to number one, we will experience so much peace and contentment. A blogger I follow recommended this book, and of course, I had to get it. Seriously, though, the title had me at "simpler, more soulful way of living." I don't know of many of us that wouldn't love to live out those words. The world tells us to do more, push harder, keep trying to take on more and more...and the list goes on. 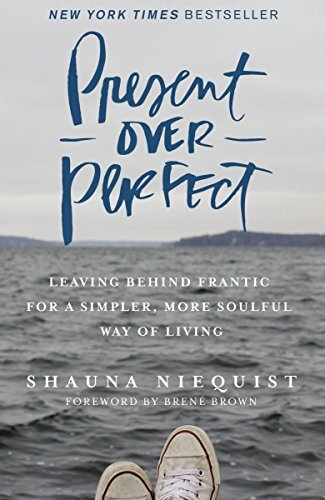 Shauna Niequist, the author, tells her readers to leave behind the pressures of the world and truly live in the moment. She explains, through essays about her own life, how she slowed down and started a path towards a more peaceful, less frantic way of living. She focuses on learning to say "no"-no to things that the world say will make you happy, no to things that will distract you from enjoying life and no to thinking everything has to be perfect. My final "favorite" inspirational book I read in 2016 was written by Billy Graham's daughter, Anne Graham Lotz. She wrote this book based on Daniel's prayer in Daniel Chapter 9 of the Old Testament. 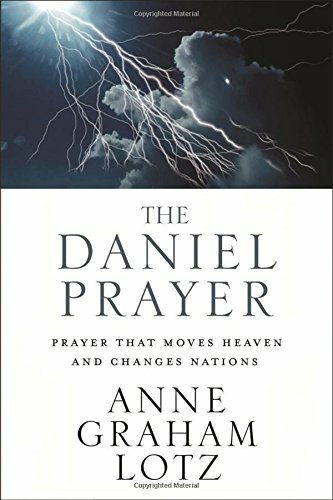 In this book, Anne shares with her readers how prayer really can move mountains, and it can repair and restore us and our nation. She uses both scripture and experiences in her own life to share the power of prayer. Anne doesn't use prayer occasionally; prayer is her life. She uses prayer as a spiritual weapon and encourages her readers to pray without ceasing. If you are stalled in your prayer life, or if you want to understand how to pray like the prophet Daniel, I highly recommend this book. I hope you enjoyed my recap of my 5 favorite inspirational books for 2016. Did you read a book that wasn't on this list that you'd recommend? If so, please let me know! I'm always looking for the next best book.